Jammu: More than 200 militants have been killed by security forces in Jammu and Kashmir so far this year, the largest number of militants killed in one year after 2010, state police chief S.P. Vaid said on Thursday. 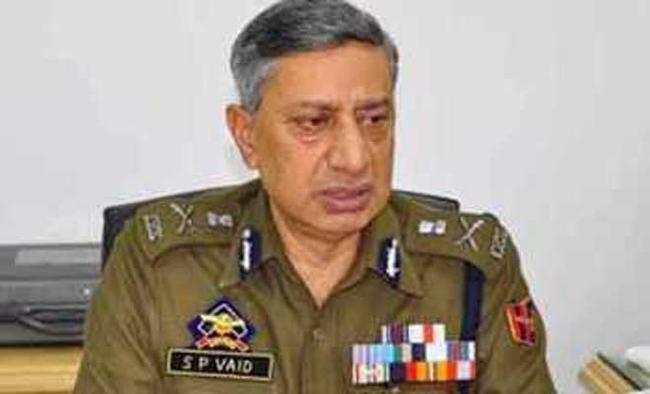 In a statement posted on his twitter handle, Director General of Police Vaid said: "Today the collective effort of @JmuKmrPolice, Indian Army, @crpfindia, CAPF and people of Kashmir have led to neutralisation of more than 200 militants in the year of 2017 alone". "This marks a huge lan dmark for establishing peace and stability in the state of J&K and our country. "The statement by the DGP came on a day security forces killed five militants - four in Badgam district and one in Baramulla district.In 2010, the security forces killed 270 militants while last year, 167 militants were killed.